← Want to be Wealthy? Pick Up a Book. Whether you call them millennials or young professionals, the younger members of today’s workforce want different things from their careers than their parents or grandparents did. For many, work isn’t just about clocking in, clocking out and taking home a paycheck anymore. Sure, they need to make money, but they want jobs they enjoy at companies that are invested in helping them learn, grow and give back. Since bridging the gap in the workforce all comes down to understanding each other, here are three important things we’ve learned about millennials. And remember, sometimes working with a new group of people means changing your mindset and reevaluating your policies. Millennials don’t want to have to clock in and clock out. It’s not about accountability or time tracking… it’s about flexibility. Many of today’s young professionals don’t stop working when they leave the off – they check emails 24/7, work on projects in the evening when they’re inspired, they take calls on the weekends – and they want to know their time is being appreciated. Let’s face it: we don’t all do our best work between 8am and 5pm, so having some flexibility is essential. If your millennial employee is doing great work and not being unreasonable about hours or time, allowing them that flexibility will encourage them to do their best work and keep them happy. A great workplace isn’t just location, parking and pay. It’s about having a great group of people to work with every day at a company that appreciates you and that shares your values. Thanks in part to social media, Millennials have a heightened sensitivity to social impact and political alignment. They want to work for (and do business with) companies that share their values, give back to the causes they care about and empower them to make a difference. They also want a business that shows they value their employees with benefits like family leave, donation matching and volunteer days. Ambitious employees of any generation are going to be hungry to learn, but millennials really want to work for companies that give them opportunities to grow, cross-train, be mentored and, eventually, be promoted. However, they also don’t want to be singled out as millennials for special trainings or events. They want to be included, trusted with important tasks and given an opportunity to shine. If you want your young professionals to be happy and productive, they need to be challenged. 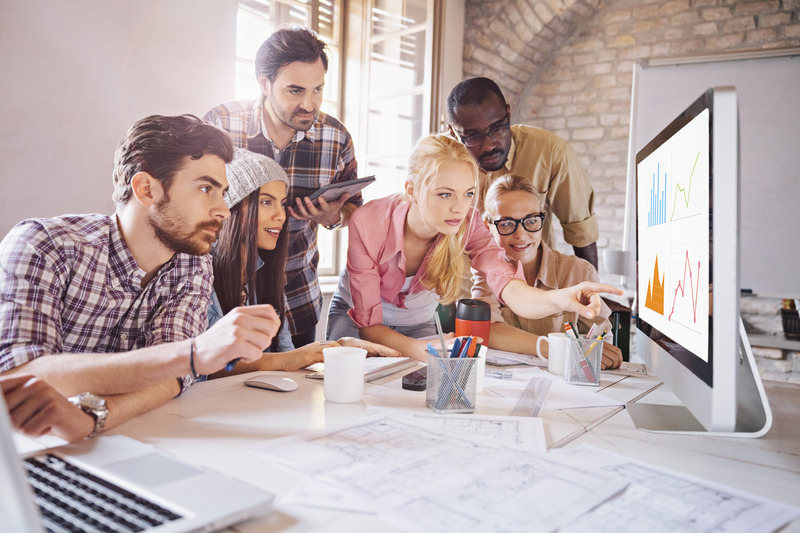 Millennials are some of the most creative, innovative and resourceful employees companies can have, but you need to understand what they’re looking for in an employer if you want to keep them around to make your company bigger and better in the future. If you are having trouble bridging the gap with your younger employees and keeping fresh talent at your company, it might be time to talk to a business coach. Our programs – including a new Bridging the Gap program – can help you and your millennial workforce find a happy medium that helps everyone succeed. This entry was posted in Business Coaching and tagged bridging the gap, business blog, business coach, business owner emotional management, business owner leverage, business owner mindset, business owner roles, business systems, communication, delegation, entrepreneur, Growth Coach, HR, leadership, management, marketing, millennials, small business, small business leader, small business management, strategic business owner, strategic mindset, strategic thinking, success, training, workforce development, young professionals, yp. Bookmark the permalink.